I am in a shuttle. Not a train. More like a plane, or a spaceship. It is an in-between of those two, really. 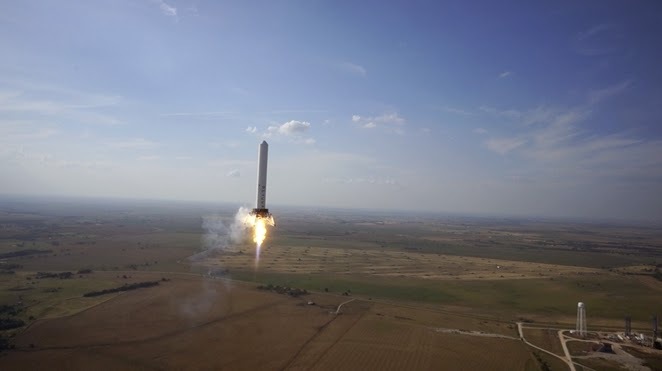 It is shaped like a long rocket without wings, and it is populated by rooms, and halls full of safety-chairs, where people wait for the landing. Only the bottom part has an engine and control center. I am inside a waiting room, all for my own. I just woke up. I get the feeling that the end of the journey is approaching. Although I slept through it, it was not a long journey, actually. It is a mystery to me where I am, and where I am headed. And although it is a mystery, it is not important. The only thing that is important is the landing. I slowly climb out of my room. It is connected to one of those sitting halls, through a corridor entrance, above me. The gravity is awkward, and although I do not float, I do need to crawl my way out of the room. As I approach the above chamber, I find myself pausing next to a window. This is the actual final result! The view is intimidating. It is not just a freefall. It is an accelerated drop, from who knows how high. There is no sound. I keep staring into the incoming ground. It is littered with boulders, as if the landing site is meant to be more of a hazard, rather than less. Suddenly, the thrusters below me burst, and the noise of combustion roars, as if from a long distance. Just as it seemed the vessel would hit the ground, and my mortal life would end miserably yet quickly, an ever so slight wobble motion hits, and everything just stops. We have landed, and not surprisingly, everyone in their sits start applauding.